Situated along Main Street and adjacent to Los Gatos High School, Café Dio (connected with Dio Deka across the street and within the Hotel Los Gatos) is ideally placed for those wanting to grab a quick coffee, breakfast, or simple lunch. The menu is not extensive, but there’s a little something for just about everyone available. Most of all, Café Dio is a good place to pop in if all you want is something to drink and something modest to nibble on. Parking can be a major headache in downtown Los Gatos, but on weekdays, I’ve found that parking is not hard unless visiting when school is starting or ending. Menu items include a good assortment of beverages (coffee, tea, espresso drinks, water, soft drinks) plus pastries, oatmeal, wraps, Greek salad, one sandwich offering, pizza, and things like chips. An outdoor area makes this a fun place to people-watch, and a very dog-friendly place, too. Dio Deka, the full restaurant within the Hotel Los Gatos, is not open for breakfast or lunch, so having Cafe Dio just across the street makes a lot of sense. 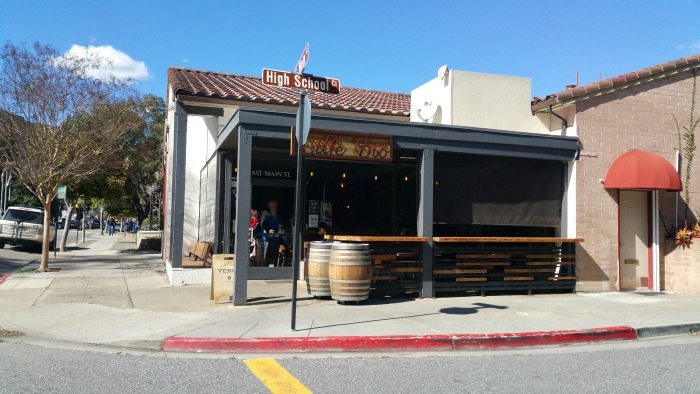 It’s low key and easy for guests, but just as easy for Los Gatos High School students. Got a little time? Swing by Café Dio and enjoy the friendly, casual ambiance and a cup of your favorite beverage.